According to poets, Jupiter (Zeus in Greek) is the father, the king of all gods and humans. He rules on mount Olympus and his power is such that he can shake the entire universe by a simple nod of the head. He also represents the spiritual world, organizes the exterior world and is the god of all physical, moral and social rules. According to Mircea Eliade, he is the archetypical head of a patriarchal family. Jupiter is also the biggest planet of our solar system and its Halo is the closest of the three rings that surround the planet. For me, Grenache is the king of all grapes and the natural leader of all Rhone varietals. 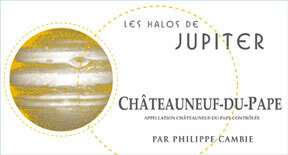 The halo symbolizes the appellations that best express its personality. Harvest: Successive pickings to harvest each bunch at its ideal ripeness. The initial sorting in the vineyard is followed by a second one at the winery to eliminate defective grapes. Winemaking: The grapes are destemmed but not crushed. Extractions are very gentle using only manual “pigeage” and fermentation temperatures are kept to 28°C (82°F) during approximately 5 weeks. Aging takes place in 1 year old burgundy barrels (228L) made with exclusively French oak. This wine was neither finednor filtered before bottling in order to preserve its personality and intensity. Cellaring: Although this wine could be enjoyed young, it will only develop its full character much later. It will keep its freshness for at least 20 years after bottling. Harvest: Successive pickings to harvest each bunch at its ideal ripeness.The initial sorting in the vineyard is followed by a second one at the winery to eliminate defective grapes. Winemaking: The grapes are destemmed but not crushed.Extractions are very gentle using only manual “pigeage” and fermentation temperatures are kept to 28°C (82°F) during approximately 5 weeks. This wine was neither fined nor filtered before bottling in order to preserve its personality and intensity. I love white wines. Here, we take a different tack then with the reds. Roussanne, a varietal that has always marked the great Rhone valley whites, is given the stage. The White Grenache, thanks to its complex nose and its wonderful full mouthfeel, still plays an important role. Their encounter gives birth to a classic white wine for the ages. Vineyard: On slopes of calcareous soils, and white earth and Urgonian limestone. Harvest: The parcels are picked very early in the morning in order to benefit from the cool temperatures and limit oxidation. Winemaking: The grape clusters arrive at the winery within a half hour of having been picked and placed in small crates. After a pneumatic pressing of the clusters, the must is kept overnight at 14]C and then decanted. The tank fermentation lasts 8 to 10 days with temperatures controlled between 18 and 22 °C. The wines are then aged on lees with a “batonnage” every 15 days until March. 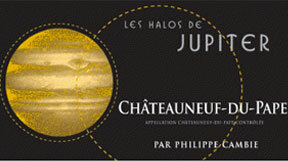 Aging: Although this wine could be enjoyed young, it will only develop its full character much later. It will keep its freshness for at least 10 years after bottling. This wine is a perfect example of how Mourvèdre best compliments Grenache to create a very alluring red Rhone. Vineyard: Two separate locations: “Four Danuga” and “Les Maurelles”. Ancient plantings of Grenache & Mourvèdre on sandy and loam deposits from the quaternary period. Winemaking: The grapes are destemmed but not crushed.Extractions are very gentle using only manual “pigeage” and fermentation temperatures are kept to 28°C (82°F) during approximately 5 weeks.Grenache (80%) and Mourvèdre (20%) are blended after malolactic fermentation and aging takes place in concrete vats for one year. 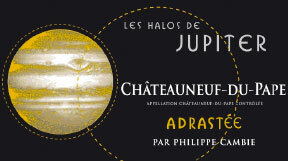 Poor soils, minuscule yields and tremendous concentration characterize this quintessential Mediterranean wine. 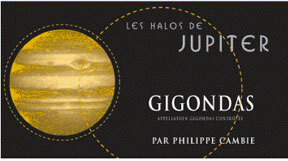 Vineyard: Exclusively from the “Plateau des Garrigues” where the soil is a combination of rolled pebbles and red clay. Very old Grenache (83%) and 35 year old Syrah (17%) make up the varietal blend. Harvest: Successive pickings to harvest each bunch at its ideal ripeness. The initial sorting in the vineyard is followed by a second one at the winery to eliminate defective grapes. Grenache and Syrah are blended after malolactic fermentation and aging takes place in concrete vats for one year. 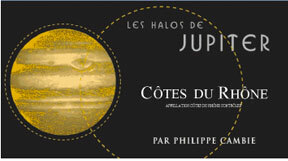 The vineyard’s elevation gives this dark and concentrated Côtes du Rhône its unique finesse and balance. Vineyard: The grapes are sourced from several vineyards between the villages of Rasteau and Roaix, most of them at elevation < 300m.The deep “argilo-calcaire” soil provides hidric balance to the plant. Harvest: Harvest takes place at an advanced level of ripeness.The initial sorting in the vineyard is followed by a second one at the winery to eliminate defective grapes and any kind of remaining green particles. Varietals are blended after malolactic fermentation and aging takes place in concrete vats for one year. 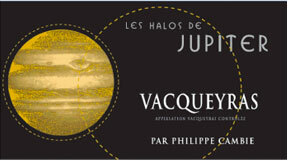 Vineyard: From a high altitude vineyard near Roaix, at the northern fringe of Southern Rhône, this wine is a blend of very old Grenache (85%), Syrah 10% and Mourvèdre (5%). Harvest: Harvest takes place at an advanced level of ripeness. The initial sorting in the vineyard is followed by a second one at the winery to eliminate defective grapes and any kind of remaining green particles. At the southern most part of the Rhone valley, this vineyard planted on a classic Rhone terroir (rolled pebbles and red clay), produces wines with surprising depth and freshness. Vineyard: Syrah (60%) and Grenache (40%) planted on Quaternary Rhone river deposits. Cool sea breezes during the summer temper the scorching heat and allow for a very fresh fruit definition. Harvest: Manual harvest with dual sorting (before and after destemming) eliminates all undesirable particles. Winemaking: Stainless steel vats are fed uncrushed grapes by gravity. Extractions are very gentle using only manual “pigeage” and fermentation temperatures are kept to 26°C (78°F) during approximately 5 weeks. Each varietal is kept in concrete vats for 6 months. Blending takes place at the end of the “elevage” and the wine is bottled without fining and with limited filtration. Cellaring: Although this wine could be enjoyed young, it will only develop its full character later. It will keep its freshness for at least 5 years after bottling. Vineyard: Sandstone soil with pebbles and red clay (called ‘Grès’), this is a blend of Grenache Blanc and Roussanne, with a touch of Viognier. Harvest: Hand harvested in crates at a relatively early maturity in order to optimize aromatic maturity and sugar/acidity balance. Winemaking: The crated grape clusters are kept in cold storage for 24 hours and then sorted before pressing. Cold skin contact to maximize aromatic extraction of the Roussanne. Direct pressing for the Grenache to preserve its acidity. Fermentation is temperature controlled at 18 ° C to optimize fruit expression, in barrels for the Roussanne and in tanks only for the Grenache. Aging on the lees until Christmas for both varietals. Blending and bottling in April. Aging: Although this wine could be enjoyed young, it will only develop its full character much later. It will keep its freshness for at least 5 years after bottling. I wonder if Ashley and Chris would eat a few leveas after spraying copper and sulfur in the vineyard. Arsenic is organic too Teasing aside, I can’t wait to see this movie. And hear about real farmers putting forward great efforts to make great wines in CA! I feel other web-site proprietors should really take this website as an model, incredibly clean and wonderful user friendly style and style, let alone the content material. You’re an specialist in this topic! Honestly i am in two minds on whether to take stand for or against. you are simply sharing your own point,i appreciate it. For some it will ring true for others it may not resemble their experience at all. IÃ¢â‚¬â„¢m simply encouraging dialogue in the hope others will get the support they need. Thanks for the tip on Brock Farm. Im due for a visit, but should probably wait till strawberry season. Nothing like sweet, ripe organic berries still warm from the sun. Youve got me longing for spring! 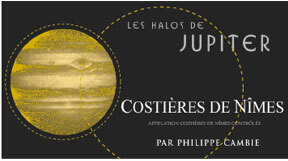 Hi,I check your blog named “Les Halos de Jupiter | Philippe Cambie” regularly.Your humoristic style is witty, keep it up! And you can look our website about proxy list. Hello blogger i see you don’t monetize your page. I often visit your website and have noticed that you don’t update it often. More frequent updates will give your site higher authority & rank in google. Nicolas Baudouin Post-photographies de paysages et de fantômes.